'Woodedge', the William Stone Post estate designed by George B. Post & Sons c. 1902 in Bernardsville, New Jersey. William was one of two of Post's sons to enter the architectural trade, thus changing the name of their father's firm to George B. Post & Sons (James Otis Post was the other). His brother George B. 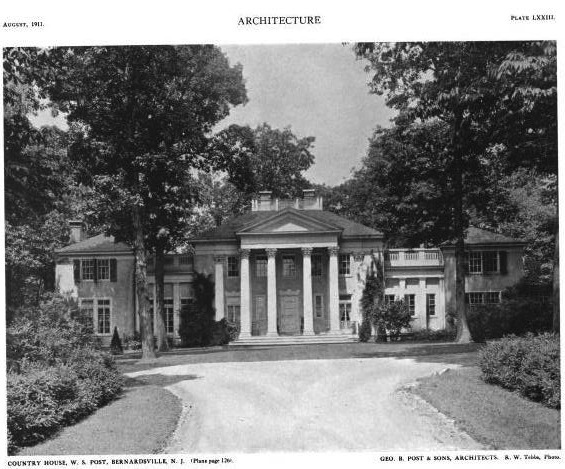 Post Jr. resided at 'Kenilwood' in Bernardsville. Click HERE for more and HERE to see 'Woodedge' on bing. 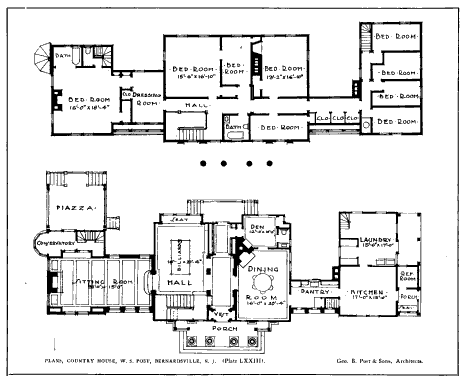 A unique floor plan, considering the front elevation. 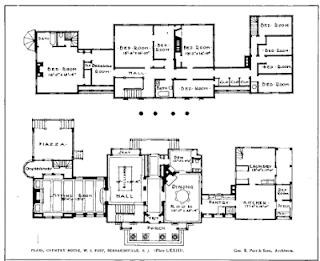 OMG that floor plan. Really?